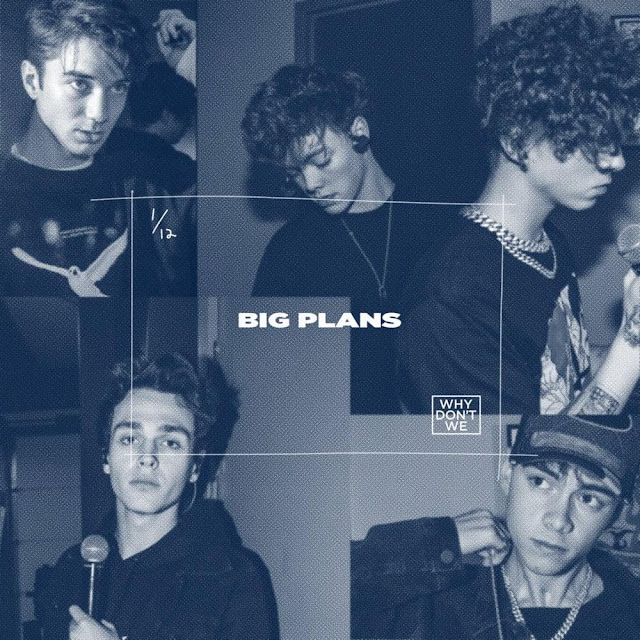 Music Television presents the Atlantic Records pop group known as Why Don't We and the music video directed by Henry Lipatov, for their song titlled BIG PLANS. The group's members consist of Jonah Marais, Corbyn Besson, Daniel Seavey, Jack Avery and Zach Herron. Please click the play button of the video below and choose the high-resolution & full screen options. When this music video ends, it will automatically be followed by hours of excellent music videos if you choose to let it roll. Press forward to skip any video or click the reverse button to replay or return to previous songs, or exit fullscreen to choose a new video.